Originally signed by the Florida Marlins as a non-drafted free agent on 4/25/06...Signed by Marlins scout Sandy Nin... Has a daughter, Angelica...Coaches children in the Dominican Republic during the offseason. Combined to post a 3.70 ERA (24 ER/58.1 IP) with 26 walks and 45 strikeouts across three teams ... Recorded season-high-tying four strikeouts with Milwaukee (4/8 vs. CHC) and Pittsburgh (5/28 vs. NYM, and 5/31 vs. ARI) ... Appeared in 19 games for the Toros del Este of the Dominican Winter League, going 2-2 with a 1.83 ERA (4 ER/19.2 IP). Went 0-1 with a 3.18 ERA in 46 relief appearances between Tampa Bay and Milwaukee...Retired 29 of 46 first batters faced (63.0%)...Stranded 16 of 26 inherited runners (61.5%)...Went 0-0 with a 2.45 ERA in 3 appearances with Tampa Bay (3.2ip, 1er) and 0-1 with a 3.22 ERA in 43 appearances with Milwaukee (58.2ip, 21er)...Went 2-1 with a 2.25 ERA and 1 save in 6 relief appearances at Triple-A Durham...Was designated for assignment by Tampa Bay on 5/8...Was traded to Milwaukee in exchange for cash on 5/12...Pitched for Este in the Dominican Winter League (3g). Began the season at Double-A Montgomery, where he went 0-0 with a 5.68 ERA and 2 saves in 5 relief appearances before he was promoted to Triple-A Durham on 4/25...Went 4-1 with a 1.92 ERA and 5 saves in 45 relief appearances at Durham, holding opponents to a .196 batting average with 65 strikeouts in just 61.0 innings ...Pitched for Este in the Dominican Winter League (19g, 1-0, 4.12era). Began the season at Triple-A Toledo, where he went 1-2 with an 8.84 ERA in 12 relief appearances before he was released by Detroit on 5/17...Signed as a free agent with Los Angeles and went 7-1 with a 4.91 ERA in 21 relief appearances at Double-A Chattanooga.....opponents batted .232 with 25 strikeouts in just 22.0 innings...Pitched for Este in the Dominican Winter League (16g, 1-0, 0.79era)...Signed as a free agent with Tampa Bay on 12/17. Limited to 20 games in 2013 with Triple A Charlotte in the Chicago White Sox organization as he was sidelined with an injury for much of the season...Fanned a season-high three batters on April 26 versus Norfolk -- equaled the high on May 27 versus Toledo....also tossed a season-best 2.2 innings that same day...Sidelined June 6-September 1 with a right elbow sprain...Assigned to Bristol on an injury rehabilitation assignment -- allowed two runs on two hits in 2.2 innings of work for the White Sox. Spent most of the season with Class AAA Charlotte but appeared in two games with the White Sox ... was recalled from Charlotte on 7/13 and made his season debut the same night at Kansas city, throwing 1.2 scoreless IP ... was one of a Major League-record eight rookie pitchers used by Chicago in the game (source: Elias) ... was optioned back to the Knights on 7/17 and recalled on 9/14 for the remainder of the season ... ranked among International League relief leaders in opponents average (2nd, .177), strikeouts per 9.0 IP (5th, 9.29) and baserunners per 9.0 IP (5th, 10.43) ... 28 of his 40 outings were scoreless ... limited righties to a .173 (23-133) average (lefties hit .184) ... made nine straight scoreless appearances (11.0 IP) to end the season ... entered the season ranked by Baseball America as the No. 7 Prospect in the White Sox organization. Was 3-8 with a 3.57 ERA (23 ER/58.0 IP) and 74 strikeouts in 56 relief appearances with Class AA Jacksonville in the Florida organization ... pitched in the MLB All-Star Futures game, throwing 0.1 scoreless IP ... held opponents to a .223 (47-211) average, including a .188 (11-85) mark by left-handers ... averaged 11.48 strikeouts per 9.0 IP, second-best among Southern League relievers ... made 10 appearances with Este in the Dominican Winter League, going 1-1 with a 3.24 ERA (3 ER/8.1 IP) and 10 strikeouts ... was named by Baseball	America prior to the season as the No. 4 Prospect and possessing the best fastball in the Marlins organization ... Sox acquisition recommended by Daraka Shaheed and Bill Young. In his fifth professional season, spent time at three different levels of the organization, beginning with Single-A Jupiter, where he went 0-1 with a 1.42 ERA in 21 games ... Recorded four saves in four opportunities for the Hammerheads ... Had a streak of 16.1 consecutive scoreless innings from April 19 to May 25 ... Promoted to double-A Jacksonville on June 10, where he made 15 appearances, going 1-0 witha 2.16 ERA ... Pitched a season high 2.1 innings on June 20 at Birmingham, allowing only one hit and striking outone ... Held right handed batters to a .133 average between Jupiter and Jacksonville combined, whilelefties hit at a .180 clip ... Selected to his first Major League roster on July 16, making his Major League debut that night,throwing 0.1 inning against Washington ... Recorded his first Major League win on July 19 vs. Colorado after allowing one run in 1.1 inningsof work ... Made four appearances for the Marlins before being placed on the 15-day DL July 25 with a right elbow strain. In two rehab appearances, pitched 2.0 perfect innings, striking out four with Jupiter and Jacksonville. Returned from rehab on September 1 before being transferred to the 60-day DL on September 20. Was 1-1 with a 3.14 ERA (15 ER/43.0 IP) and one save in 29 relief appearances with Jupiter. Spent the season with the rookie Marlins, going 1-1 with a 6.11 ERA (12 ER/17.2 IP) in 12 games. Appeared in eight games (five starts) between the rookie Marlins and DSL Marlins. Made his professional debut with the DSL Marlins ... was recommended/signed by Sandy Nin. April 3, 2019 Diablos Rojos del Mexico released RHP Jhan Marinez. April 3, 2019 RHP Jhan Marinez assigned to Diablos Rojos del Mexico. January 27, 2019 RHP Jhan Marinez assigned to Dominican Republic. October 13, 2018 RHP Jhan Marinez assigned to Toros del Este. October 3, 2018 RHP Jhan Marinez elected free agency. August 31, 2018 Baltimore Orioles sent RHP Jhan Marinez outright to Norfolk Tides. August 31, 2018 RHP Jhan Marinez roster status changed by Baltimore Orioles. August 24, 2018 Baltimore Orioles sent RHP Jhan Marinez on a rehab assignment to Norfolk Tides. August 20, 2018 Baltimore Orioles sent RHP Jhan Marinez on a rehab assignment to GCL Orioles. August 3, 2018 Baltimore Orioles placed RHP Jhan Marinez on the 10-day disabled list. Right hamstring strain. July 10, 2018 Baltimore Orioles selected the contract of RHP Jhan Marinez from Norfolk Tides. April 2, 2018 RHP Jhan Marinez assigned to Norfolk Tides. December 26, 2017 RHP Jhan Marinez assigned to Aguilas Cibaenas. November 28, 2017 Baltimore Orioles signed free agent RHP Jhan Marinez to a minor league contract and invited him to spring training. October 14, 2017 RHP Jhan Marinez assigned to Toros del Este. October 12, 2017 RHP Jhan Marinez elected free agency. September 4, 2017 Texas Rangers sent RHP Jhan Marinez outright to Round Rock Express. September 1, 2017 Texas Rangers designated RHP Jhan Marinez for assignment. August 11, 2017 Texas Rangers activated RHP Jhan Marinez. August 10, 2017 Texas Rangers claimed RHP Jhan Marinez off waivers from Pittsburgh Pirates. August 5, 2017 Pittsburgh Pirates designated RHP Jhan Marinez for assignment. May 20, 2017 Pittsburgh Pirates activated RHP Jhan Marinez. May 19, 2017 Pittsburgh Pirates claimed RHP Jhan Marinez off waivers from Milwaukee Brewers. May 15, 2017 Milwaukee Brewers designated RHP Jhan Marinez for assignment. May 13, 2016 Tampa Bay Rays traded RHP Jhan Marinez to Milwaukee Brewers for cash. May 8, 2016 Tampa Bay Rays designated RHP Jhan Marinez for assignment. April 24, 2016 Tampa Bay Rays selected the contract of RHP Jhan Marinez from Durham Bulls. January 12, 2016 Tampa Bay Rays invited non-roster RHP Jhan Marinez to spring training. December 16, 2015 RHP Jhan Marinez assigned to Durham Bulls. December 1, 2015 Tampa Bay Rays signed free agent RHP Jhan Marinez to a minor league contract and invited him to spring training. November 7, 2015 RHP Jhan Marinez elected free agency. April 25, 2015 RHP Jhan Marinez assigned to Durham Bulls from Montgomery Biscuits. April 6, 2015 RHP Jhan Marinez assigned to Montgomery Biscuits from Durham Bulls. December 30, 2014 RHP Jhan Marinez assigned to Durham Bulls. December 17, 2014 Tampa Bay Rays signed free agent RHP Jhan Marinez to a minor league contract and invited him to spring training. August 18, 2014 Chattanooga Lookouts activated RHP Jhan Marinez from the 7-day disabled list. August 12, 2014 Chattanooga Lookouts placed RHP Jhan Marinez on the 7-day disabled list. June 21, 2014 RHP Jhan Marinez assigned to Chattanooga Lookouts. May 19, 2014 Los Angeles Dodgers signed free agent RHP Jhan Marinez to a minor league contract. May 17, 2014 Toledo Mud Hens released RHP Jhan Marinez. March 29, 2014 RHP Jhan Marinez assigned to Toledo Mud Hens. November 18, 2013 Detroit Tigers signed free agent RHP Jhan Marinez to a minor league contract and invited him to spring training. November 4, 2013 RHP Jhan Marinez elected free agency. September 6, 2013 Chicago White Sox sent Jhan Marinez outright to Charlotte Knights. September 1, 2013 Charlotte Knights activated RHP Jhan Marinez from the 7-day disabled list. August 23, 2013 Charlotte Knights sent RHP Jhan Marinez on a rehab assignment to Bristol White Sox. June 6, 2013 Charlotte Knights placed RHP Jhan Marinez on the 7-day disabled list. March 15, 2013 Chicago White Sox optioned RHP Jhan Marinez to Charlotte Knights. September 14, 2012 Chicago White Sox recalled Jhan Marinez from Charlotte Knights. July 18, 2012 Chicago White Sox optioned Jhan Marinez to Charlotte Knights. 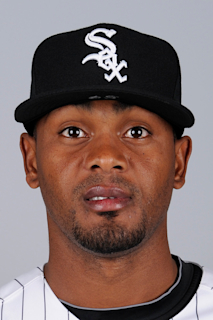 July 13, 2012 Chicago White Sox recalled Jhan Marinez from Charlotte Knights. July 13, 2012 Jhan Marinez roster status changed by Chicago White Sox. March 19, 2012 Chicago White Sox optioned Jhan Marinez to Charlotte Knights. October 14, 2011 RHP Jhan Marinez assigned to Toros del Este. October 14, 2011 Toros del Este activated RHP Jhan Marinez. September 29, 2011 Florida Marlins Traded RHP Jhan Marinez and SS Osvaldo Martinez to Chicago White Sox and Bristol White Sox Traded RHP Ricardo Andres to Greensboro Grasshoppers. March 28, 2011 Florida Marlins optioned Jhan Marinez to Jacksonville Suns. November 5, 2010 Jhan Marinez roster status changed by Florida Marlins. September 20, 2010 Florida Marlins transferred RHP Jhan Marinez from the 15-day disabled list to the 60-day disabled list. August 25, 2010 Jupiter Hammerheads sent RHP Jhan Marinez on a rehab assignment to Jacksonville Suns. August 22, 2010 Jhan Marinez assigned to Jupiter Hammerheads. July 25, 2010 Florida Marlins placed RHP Jhan Marinez on the 15-day disabled list. Right elbow strain. July 16, 2010 Florida Marlins selected the contract of RHP Jhan Marinez from Jacksonville Suns. June 10, 2010 Jhan Marinez assigned to Jacksonville Suns from Jupiter Hammerheads. October 16, 2009 RHP Jhan Marinez assigned to Toros del Este. July 24, 2009 Jhan Marinez assigned to Jupiter Hammerheads from GCL Marlins. July 23, 2009 RHP Jhan Marinez assigned to GCL Marlins from Jupiter Hammerheads. July 3, 2009 Jhan Marinez assigned to Jupiter Hammerheads from GCL Marlins. July 1, 2009 Jhan Marinez assigned to GCL Marlins from Greensboro Grasshoppers. July 1, 2009 RHP Jhan Marinez roster status changed by Greensboro Grasshoppers. June 30, 2009 Jhan Marinez roster status changed by Greensboro Grasshoppers. June 27, 2009 RHP Jhan Marinez assigned to Greensboro Grasshoppers from Jupiter Hammerheads. May 19, 2009 Jhan Marinez assigned to Jupiter Hammerheads from GCL Marlins.